Putting together a home recording studio isn’t something that you just wake up one day a do. It takes quite a bit of planning, and some serious thought. You have to know what questions to ask yourself, like: How am I going to soundproof the room? What equipment is absolutely necessary? Is there a specific software suite to use once I have the studio up and running? Don’t worry, once you’ve been through this primer you’ll be ready to take on the home studio challenge with confidence. The first thing you'll need to do when planning your new home studio is make a list of the furniture that will be used in the room. This isn't your typical desk and chair set, it's a complete list of functional pieces like the audio mixing suite, speaker boxes, mounts, a comfortable chair and lighting. This piece will walk you through what your area needs, and what to avoid at all costs. Once you have figured out what furniture you need, you'll have an idea of how much room is needed for your studio. Before you go out and start purchasing anything you'll need to do some sketches of the proposed room. Here you'll find out if you have the necessary room for what you want, and some of the easiest ways to maximize you space. Sound design is just as important, if not more so, than comfort is in the recording studio. This means you'll need to know how the acoustics of the space work and what modifications you need to make to placement of things like the microphones and computer recording equipment. Why is it important to soundproof your studio? That might seem like a silly question but it really is a very serious one to consider. What about the ventilation system? That often is forgotten about. There's nothing more upsetting than to have a nice session ruined when the furnace kicks in. Now that you understand why soundproofing is important, learn how to do it, the right way. The key to great soundproofing is creating a dead space between the walls of the studio and the walls of the other rooms in the home. This space will act to diffuse any sound that may try to intrude on your recording sessions. You can't do much recording without microphones. In the microphone game, it is definitely not one size fits all. This primer will give you the ins and outs of the different mics on the market and how to use them. With this selection you should be able to estimate the cost of the ones you will be most likely to use. While it would be great if the studio sound was simply a perfect recording of the session, it doesn't work that way. Usually several recordings need to be blended together with mixing machines. Which ones will you need? What else counts as mixing equipment? You'll learn all that, and a few other tricks to boot. What does a well stocked recording studio have that you don't? Is there a magical piece of equipment that can make even the worst voice come out sounding like silk? It's never too early or too late to revisit the needs of your studio. Focus on what type of recordings you are going to make and don't splurge on anything that will gather dust on the shelf. Speaking of dust, it's the number two killer of electrical equipment in the studio behind spilled drinks. So, if you're going to have a no drink policy you should also make it a practice to cover your equipment. Of course, there are several preventative measures you should take as well. What is a Digital Audio Workstation? 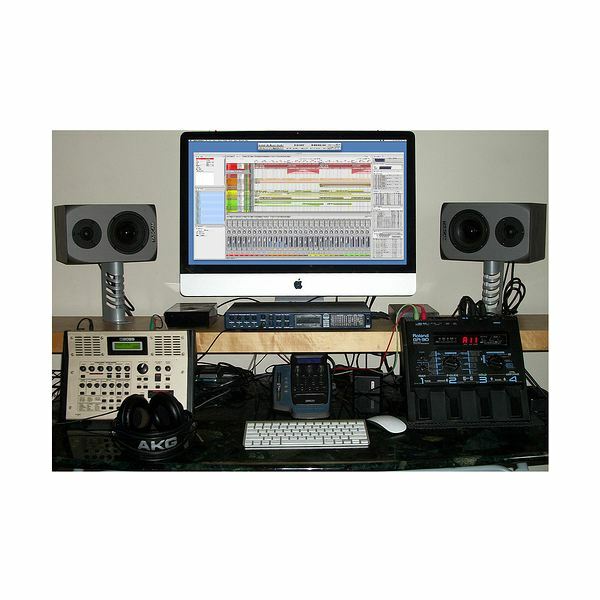 The digital audio workstation is the heart of any recording studio. It's where the magic is made. Where did these stations originate? What are the absolute essentials of the station? are there any tips or tricks to picking out the right mixing software. You'll know once you read this. With so many choices in digital audio workstation software how do you know which one is right for you? We've gathered the top 15 choices and run them through the ringer. After you check out this comparison, you'll be able to pick out the perfect suite for your recording needs. What is the Best Channel Strip for DAW? The channel strip is the backbone of the mixing studio. Without it, it would be impossible to blend the soundscape. There are several channel strips on the market, how do you choose the right one for you? We take a look at the top five and give you our opinion of their strengths and weaknesses. What is The Best Vocal Channel Strip for a Limited Budget? While a channel strip is fantastic for recording instruments it doesn't have the ability to truly capture the human voice. This necessitates the addition of a vocal channel strip to handle both lead and backing vocals. If you're on a budget, which you probably are, there are still several top-notch options to add to your DAW. Without software to help balance the mix, your recordings may never reach their true potential. There are several recording suites available, each with its own particular specialty. While this is only the tip of the iceberg when it comes to mixing software, it is a great place to start evaluating both your needs and what fits in your budget. Since we showed you the tip of the iceberg we thought it only right to give you a bit more. These suites are top of the line for top budget studios. If you are looking for something that offers complete control with easy to follow interfaces and guided tutorials, you'll find what you need here. Once you've got your recording exactly the way you want it, you'll need someplace to store it. While your computer may have a 500 GB hard drive, it isn't the optimal storage area for your masterpieces. An external hard drive is a much better option. It is less likely to get damaged or suffer data loss. These five are our recommendations for your studio.